Konstal 102Na is a polish, single-ended, articulated tram built from 1970 to 1973. It is an enlongated version of older 13N tram, wchich was not-entirely-legal copy of Czechoslovakian Tatra T1. 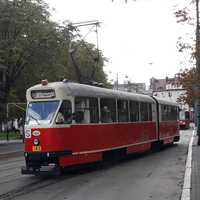 102Na trams were used in majority of tram networks in Poland until year 2012, but this model recreates the Silesian Interurbans 102Na unit as of early 2000', with its distinctive narrow first door. The articulation is designed to behave and look as accurately as possible and it bends sligthly more than needed for it to go through a standard LEGO track turn. 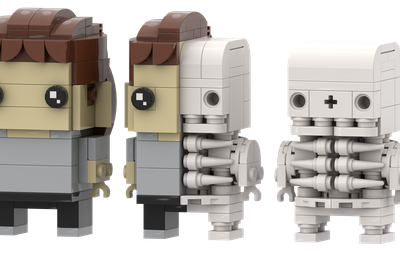 Unfortunately, LDD does not acknowledge it, so for now I'm not able to show it to you (be sure to check the updates). Each half of models' roof can be removed independently. Also, you can take just the front windscreen to access the motorman, all of controls including large throttle lever, and a Swich (big metal rod used by tram drivers to set junctions manually). Tram is equipped with secondary control panel located in the back. It is mostly used to maneuver at tram depot or to reverse on a track triangle. This model is approx. 60 studs long and 6 studs wide and allows you to seat up to 12 passengers inside (but just like reality, you can fit at least twice that amount of minifigures). - adding other half of the first doors to return to the original look of the tram. - seal any number of doors' lower windows (except the added half). 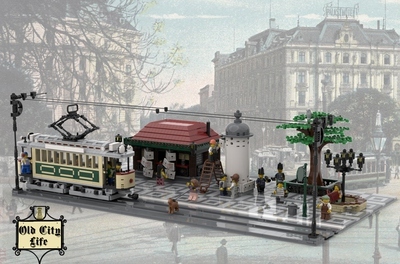 - add an orange beacon on the roof to indicate that it's not a passenger tram, but a maintenance one. 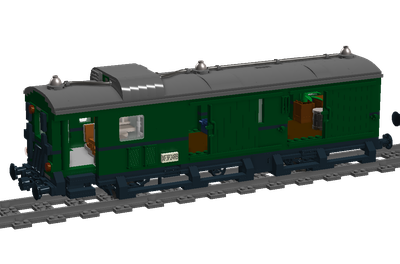 - the entire model can be rebuilt into the shorter, one-segment 13N unit (40 studs long, 8 seats, does not have the throttle lever, just pedals). All supports, shares and feedback are very welcome. Please stay tuned for some photos of real-life model, once it's fully completed.